With a long, golden lion-like mane around its face the Golden-headed Lion Tamarin is suitably named. About the same size as a squirrel, they can grow up to 30 cm long (females are usually slightly larger) plus a tail of approx. 35 cm; the body is predominantly black with golden-orange limbs and males and females are similar in appearance. They have sharp claws (unusual in primates as most others have nails), and they use these for climbing and catching prey. Their food consists mainly of insects and lizards, as well as soft fruit. Like most primates, Golden-Headed Lion Tamarins are a social species, typically living in family groups of 4 to 8 individuals. They breed once a year. When threatened they will fluff up their fur to make themselves appear bigger than they really are, and this helps them ward off predators. The Golden-Headed Lion Tamarin lives only in the Altantic Rainforest of coastal Brazil. The primary (undisturbed) forest is now extremely fragmented, and while these monkeys will use forest regrowth and rubber plantations where some native trees remain, they depend on old growth forest for sleeping sites. 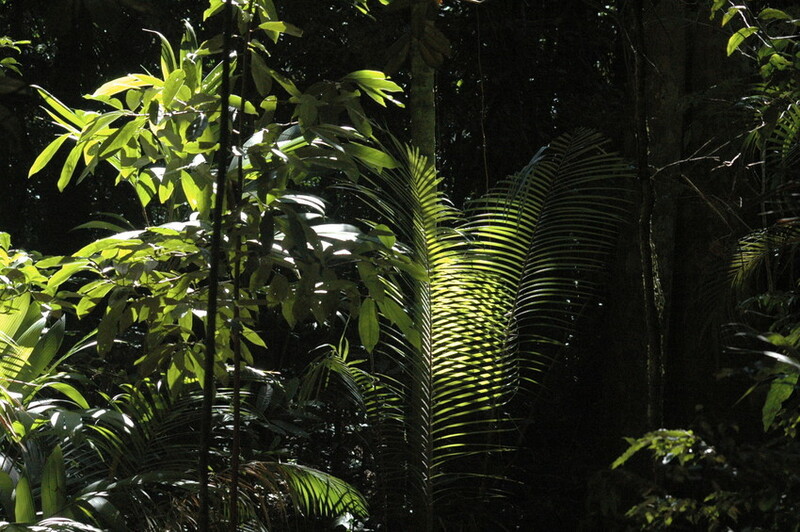 Home ranges can be from 40 to 100 hectares, depending on how rich the forest is in food. The IUCN classes the Golden-headed Lion Tamarin as Endangered. Once found widely across eastern Brazil, today it only survives in pockets of eastern Brazil, with total numbers estimated at 6,000-15,000 individuals. The primary threat is the ongoing destruction of the Atlantic Rainforest, with an estimated 2-5% of their original habitat surviving as a result of deforestation for timber, charcoal and agriculture. 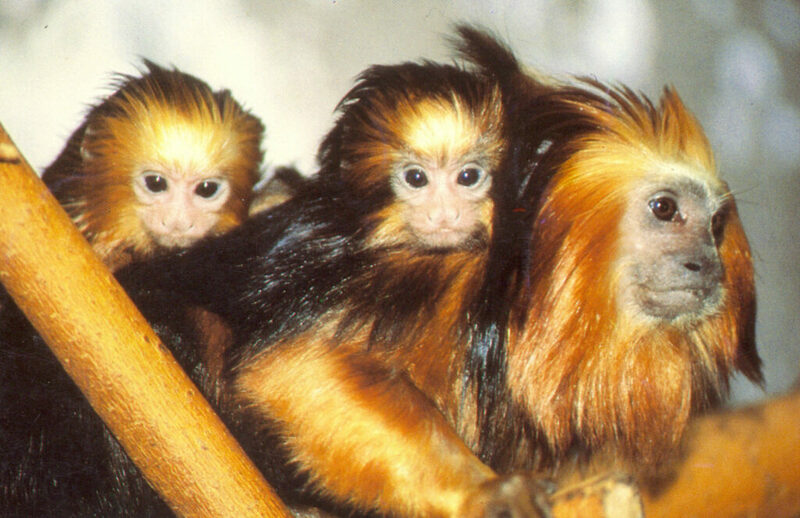 This fragmentation of the forest threatens loss of genetic diversity in small isolated populations, and collection Golden-headed Lion Tamarin for the pet trade also used to be a big problem.